I look forward to autumn every year just to enjoy all of the fresh local apples. Homemade applesauce is one of our favourite foods. We eat it as a snack, a side, or as a dessert. We also cook with it, bake with it, or freeze it for later use. 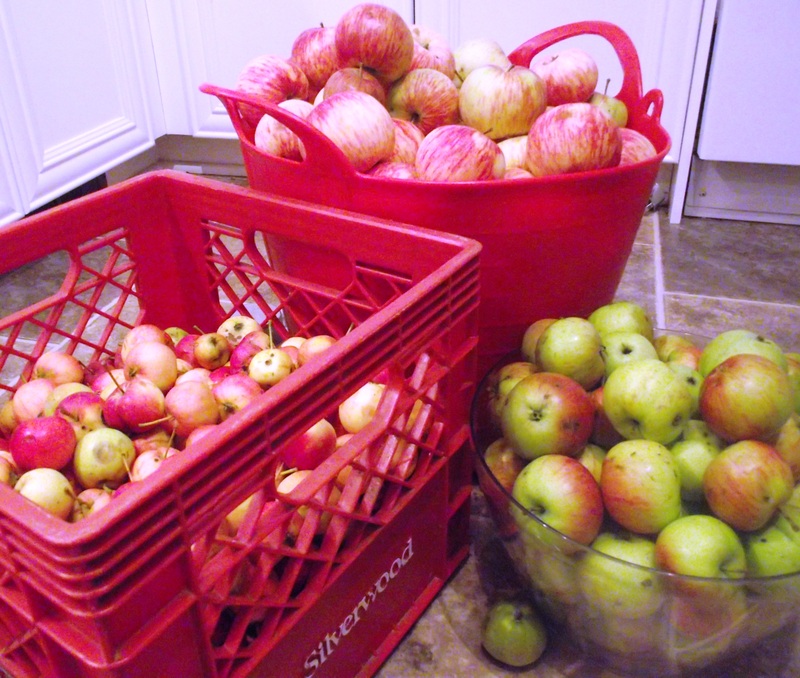 Not only does it taste wonderful, but our home is also filled with a rich autumn smell as the apples cook! Put them in a slow cooker on low. Stir every hour until the applesauce it is chunky. We like our applesauce a little chunky, but if you prefer a smooth applesauce, just puree it in a blender. Add cinnamon to taste and enjoy! What is your favorite way of using apples? Let me know below!